Several MPVs have come and gone, but have failed to usurp the Toyota Innova as the leader of the Indian MPV market which it has been ruling since its launch. Even cheaper alternatives like the Ertiga and Mobilio haven’t managed to defeat the Innova, although they have just about managed to match its sales figures. However, there is a new kid on the block now gunning for the Innova’s top spot and first impressions suggest it is actually good enough to knock the Toyota off its perch. 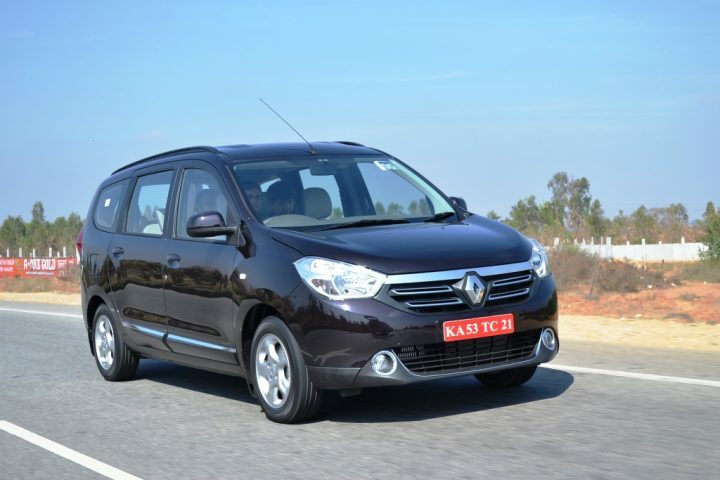 The Renault Lodgy is big, spacious, good looking and comes at a killer price. So is the Toyota Innova in trouble? 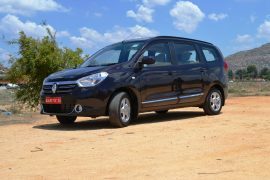 Find out here in our Renault Lodgy vs Toyota Innova comparison report. 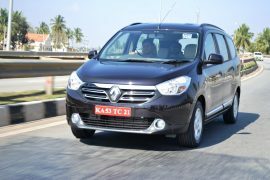 The basic shape of the Renault Lodgy is pretty boxy and the company knew they had to spruce the exteriors up a bit to make it appealing to the Indian public. And they seem to have done a decent job. 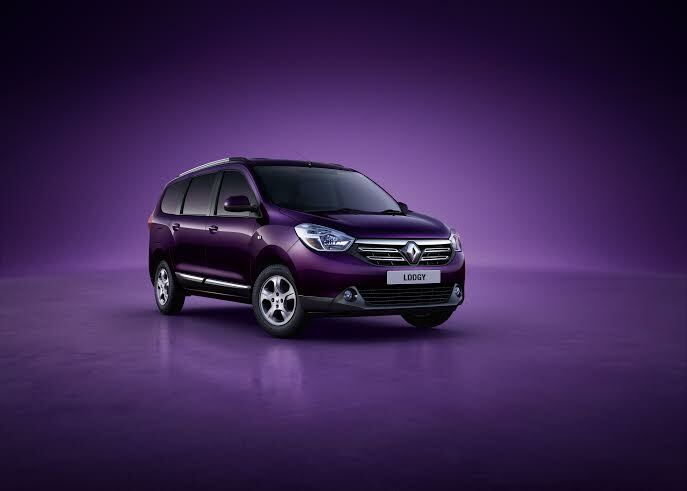 The big highlight upfront is the grille with chrome garnish and big Renault logo which add a bit of style. The sculpted bonnet is another nice touch and while the headlamps may not be aggressive, they look smart. The bulkiness of the car is visible when viewed from the side and the rear which are very bland and characterless. Renault has attempted to add a bit of style with the rear lamps, but they might not appeal to everyone.The slab like rear gets a bit of chrome to liven things up and while it may not be very attractive, it isn’t off putting either. Much like the exterior, the interior gets a very simple design with pleasant black and beige combo. 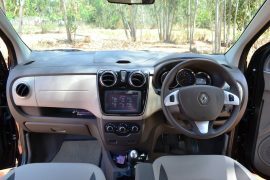 The steering wheel and the touchscreen system have been lifted straight off the Duster with which it shares most of its mechanicals as well. The cabin is spacious which the least one expects from a car this size. The boxy shape ensures decent legroom and headroom even for the third row occupants and the MPV can easily seat 7 in very good comfort. The Toyota Innova has been around for so long now and, with so many on the road, the design has started showing its age. Having said that, it is a very smart looking car and less boxy in appearance than the Lodgy. The most recent facelift has ruined the front end a bit with that overly huge grille, but other than that things are all okay. The side is very plain with no real detail adding character to the car. The rear is not as square and steep as the Lodgy which is a good thing as it helps in hiding the bulk. The interior is a simple affair with light materials of reasonable quality. Surprisingly, the legroom, though ample, is not as good as the Lodgy’s, but the greater height means headroom is better. While, the inside of the Innova is a pleasant place to be in, it has started to show its age much like the exteriors. Things will be different once the 2016 Toyota Innova hits showrooms and the Renault might have to run for cover then. 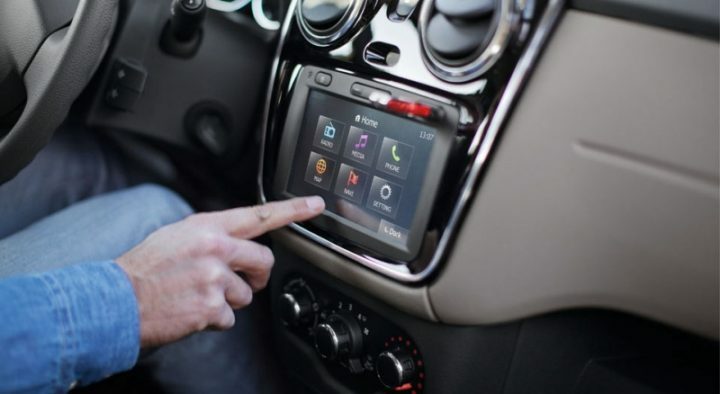 Renault has ensured the top spec trims of the Lodgy come with an extensive feature list which includes a touchscreen infotainment system with USB and AUX support, bluetooth, reversing camera and more. All three rows get aircon vents which have been specially designed for the Indian version. The third row can be removed completely to maximise luggage space and the second row gets an option of captain seats in place of a conventional bench. 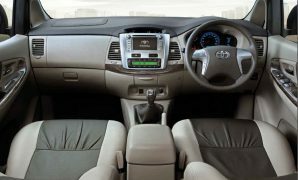 The Toyota Innova gets a similar set of equipment and a features list that is identical to that of the Lodgy. Both cars get ABS and Airbags, however, the Toyota gets the latter as standard even on the base trim. Both vehicles are big bulky MPVs and provide a very comfortable and plaint ride, absorbing bumps and potholes with ease. Body roll is very well contained and the both cars feel planted around corners. The third row is reasonably comfortable and both cars make for good highway cruisers and tackle the city conditions with ease. 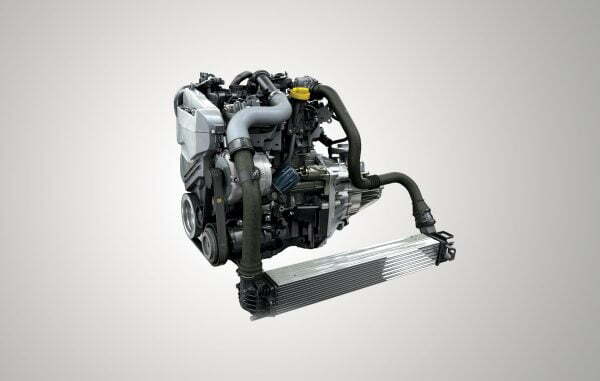 The Renault gets the 1.5 litre diesel motor from the Duster in two states of tune. The engine is known for its refinement and smoothness and delivers a very healthy fuel economy as well. The 6-speed transmission option available with the more powerful 108bhp version is better than the Innova’s 5-speed transmission. The Toyota also fares poorly in terms of fuel economy and delivers less power and torque even though it has a substantially bigger engine. Spec for spec the Renault Lodgy is cheaper than the Toyota Innova by around INR 3-4 lakhs, which is a very significant difference. The top spec Innova at almost INR 16 lakhs is a bit too expensive and the Renault Lodgy makes more sense at around INR 12 lakhs. 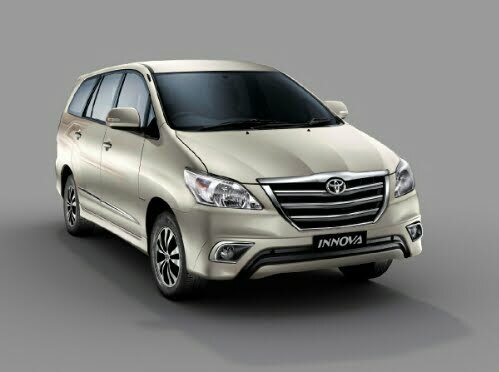 None of the MPVs on sale in the Indian market were able to match the Toyota Innova’s space and refinement up until now. The Renault Lodgy not only matches the Innova in most aspects, but turns out to be better as well. Although specs and features wise both cars are equally matched, pricing is where the Lodgy takes the game away from the Innova and establishes itself as the best MPV out there. We should point out that these are just introductory prices and will go up in a few months time, but even after the price hike the Lodgy would still be cheaper than the Innova. So, what do you have to say about our Renault Lodgy vs Toyota Innova comparison? Do let us know by sharing your thoughts in the comments section below. 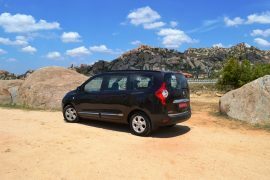 Also, stay tuned to Car Blog India for more comparos, like the Renault Lodgy vs Toyota Innova comparison we have here.